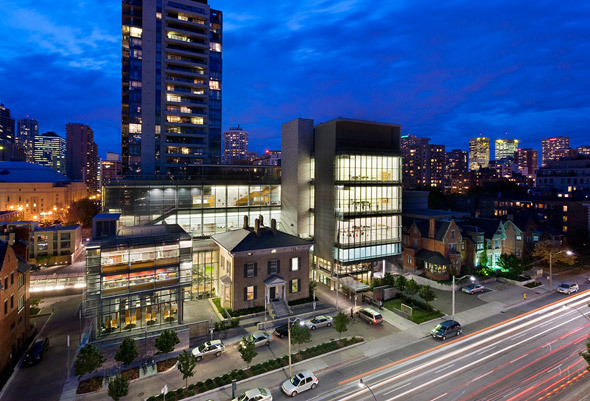 Doors Open Toronto 2011 is coming up this weekend (May 28th and 29th), and with a number of notable new buildings open to the public this year, it's probably a good idea to get organized early. A great event for history buffs, Torontophiles, and photographers, the chance to catch a peek at some of Toronto's iconic structures has certainly caught on over the years, as the longer lineups show. As such, it's important to be discerning about one's choices of buildings to tour. In general, I tend to get more excited by the newer additions to the buildings on offer, but every year I also try to knock off a few of the old favourites (think Redpath Sugar and the Elgin/Wintergarden Theatre). In the past we've recommended that about five buildings a day is realistic goal, and despite the increased popularity of the event, I'd say this number holds true for most who're planning to attend. To make the most of the time you have, it generally makes sense to organize trips geographically. To help do that, you can use the main Doors Open venue map, found on the City of Toronto Website. Or, if you're an iPhone user, the unofficial Grand Tour Toronto app serves as a useful guide to the two-day festival and won't cost you anything (which makes it easier to cope with the fact that it likes to crash a lot). We've covered a number of Doors Open venues in the past â including the South Central Letter Processing Plant, The Design Exchange, Redpath Sugar, the TTC's Harvey Shops, BAPS Shri Swaminarayan Mandir, and the Rogers Studios â so expect a post-tour coverage from us that skews toward some of the new stuff on the list. Here are my personal top picks from the 2011 Buildings list, which I hope reveals a healthy mixture of old favourites and new opportunities. New for this year, the Corus Quay complex is an impressive commercial development on Toronto's waterfront. Sounds boring? 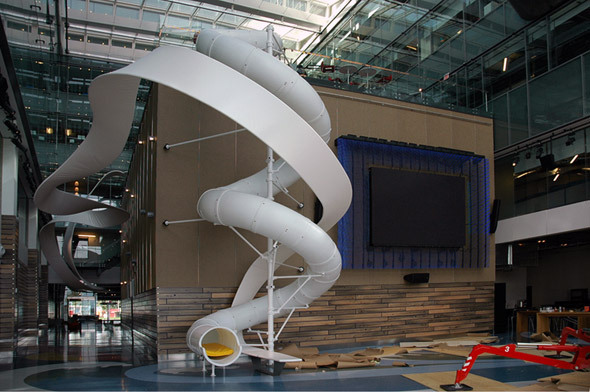 Well, it has an indoor slide. Yup, that pretty much makes it must-visit. The line-ups are bound to be a pain, but the return of the Palace of Purification is one my personal highlights for Doors Open 2011. So, make sure to re-read Michael Ondaatje's In the Skin of a Lion before visiting one of Toronto's Art Deco masterpieces. The TTC facility tours are always a hit at Doors Open, and as well they should be. Getting a glimpse at the what goes on behind the curtain at what feels like such a familiar service is the very stuff of the festival. Depending on what areas you're looking to hit up, you might also try the McCown Carhouse, which is a new addition for this year. One of the newer buildings on the list (though not new this year), Canada's National Ballet Shcool always looks both distant and inviting when I pass by on Jarvis Street at night. As much as it's possible to catch a little of the action taking place in the rehearsal studios, one can't but wonder what the rest of the building looks like. The Doors Open tour of this Chapman and Oxley designed building from 1932 is restricted to the lobby area, but saving the day are the numerous archival photos that will be on display for the tour. Don't let the name fool you. Everyone knows Casa Loma, but the stables on Walmer Road are every bit as fascinating and much less visited. It's a shame that they've never been put to better use over the years. Also must-visit (if you haven't already done so) is the Gooderham Flatiron Building. 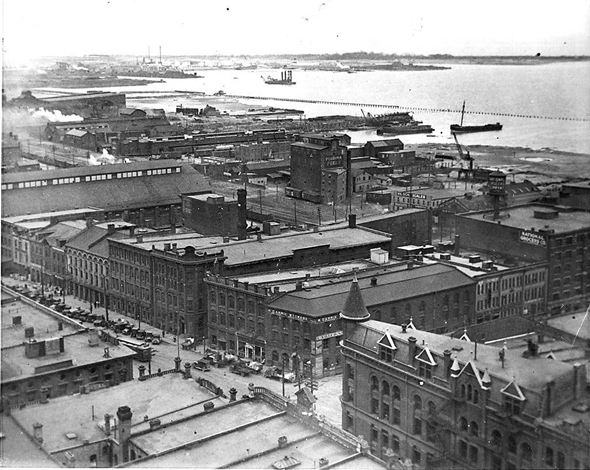 When you're there, have a peek out one of the windows to the Distillery District just to the southeast and imagine that you're Goeorge Gooderham keeping tabs on his operation back in the 1890s. Most of Toronto's urban explorers have made the pilgrimage to the Hearn Generating Station, but what the newer structure to east looks like on the inside is a bit of a mystery. This is your chance to play Edward Burtynsky and make some destructive industry look pretty. Another new building for Doors Open 2011 is the Harbour Commission Building, which used to sit at the very foot of Toronto's waterfront. 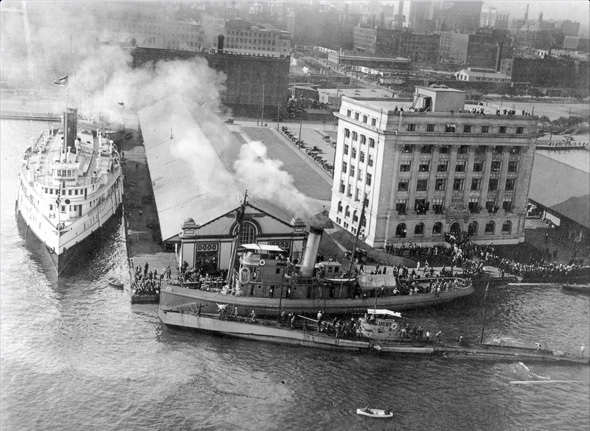 A gorgeous building, an added bonus is that photographs from the Toronto Port Authority Archives will be on display during the tour. It's almost silly to put this one on a top picks list because it seems that everyone descends on the Elgin during Doors Open and thus already knows about why it's worth the visit. Just make sure to get there early and bring your steadiest hands for photo taking: the empty theatre looks absolutely spectacular but there ain't much light to spare.